Innocent, to 37 years detainment, for unlawful importation of 1.515 kilograms of cocaine from Brazil into Nigeria. Justice Ayotunde Faji sentenced Onyeka, 36, following his second request of blameworthy to a three-count charge of unlawful possession of cocaine and conspiracy to unlawfully import the said drug. 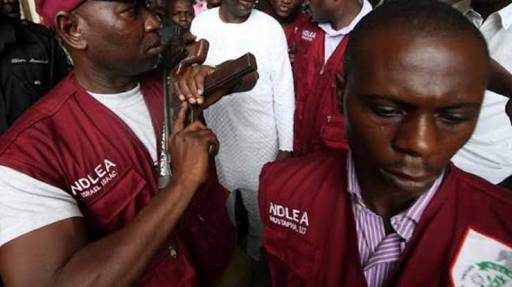 NDLEA counsel, Mrs. Juliana Imaobong Iroabuchi, said offences contravened sections 11(d,) 11(b) and 14(b) of the NDLEA Act, 2004. But Onyeka pleaded not guilty. During the trial, Iroabuchi called six witnesses, who testified that the convict was arrested at the arrival hall of Murtala Muhammed International Airport, Ikeja, Lagos, on September 27, 2017, when it was discovered that he ingested the cocaine from Brazil en route Morocco. They told the court that he excreted same six times during interrogation. Midway through the trial, Onyeka changed his plea to guilty. His counsel prayed the court to be lenient in sentencing his client, on the ground that he was a first time offender with no previous criminal record and had become remorseful in detention. The lawyer said the convict engaged in the act to raise money for his collapsed business. Following the plea, Justice Faji adjourned for sentencing. But delivering judgment on Friday, Justice Faji turned down h plea. The judge held: “I do not agree that the convict is remorseful, he only changed his plea after the prosecution had gone far with his trial. “One must not lose sight of the rampant nature of the crime. Consequently, I shall sentence you, Efobi Onyeka Innocent, to 15 years imprisonment on count one, seven years on count two and fifteen years on count three. The terms shall run concurrently”.